What Is Tungsten Alloy Fragment? Tungsten alloy fragment can be used for military purposes.It control has included providing grooves on either the external or the internal surfaces of the wall of the case or a liner inserted into the case. The grooves create stress concentrations that cause the case to fracture along the grooves forming fragments. While these devices have demonstrated the ability to create it, they are not completely satisfactory for several reasons. It can be widely used in military defense. One prior approach to inducing tungsten alloy fragmentation control to an integral warhead and missile structure has been to include grooves on either the external or internal wall surfaces of the structure to delineate fragments or projectiles in a combined warhead and missile structure. Explosives are installed in proximity to the grooves. When the explosives are detonated, the grooves create stress concentrations that cause the structure to fracture along the grooves, forming tungsten fragments. Still another approach is the dual-wall naturally fragmenting (and combination natural fragmenting and scored wall) warhead. While these types of warheads have provided somewhat of an improvement over single-wall naturally fragmenting warheads, current dual-wall designs generally require thermal conditioning manufacturing methods to mate walls together with tight circumferential tolerances. We can provide different size tungsten alloy fragment according to your requirement, tungsten fragment is one of our leading products. 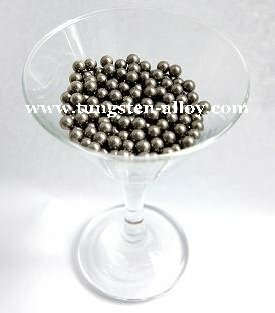 If you have any interest in the tungsten alloy fragment and other products used in military defense, please feel free to contact us by email: sales@chinatungsten.com or call: 00 86 592 5129696.